The US overthrew Saddam Hussein in the second Iraq war and put into place a puppet, Nouri al-Maliki. But after eight years, last week the US engineered a coup against Maliki to put in place yet another puppet. The US accused Maliki of misrule and divisiveness, but what really irritated the US government was his 2011 refusal to grant immunity to the thousands of US troops that Obama wanted to keep in the country. Early this year, a radical Islamist group, ISIS, began taking over territory in Iraq, starting with Fallujah. The organization had been operating in Syria, strengthened by US support for the overthrow of the Syrian government. ISIS obtained a broad array of sophisticated US weapons in Syria, very often capturing them from other US-approved opposition groups. Some claim that lax screening criteria allowed some ISIS fighters to even participate in secret CIA training camps in Jordan and Turkey. This month, ISIS became the target of a new US bombing campaign in Iraq. The pretext for the latest US attack was the plight of a religious minority in the Kurdish region currently under ISIS attack. The US government and media warned that up to 100,000 from this group, including some 40,000 stranded on a mountain, could be slaughtered if the US did not intervene at once. Americans unfortunately once again fell for this propaganda and US bombs began to fall. Last week, however, it was determined that only about 2,000 were on the mountain and many of them had been living there for years! They didn’t want to be rescued! 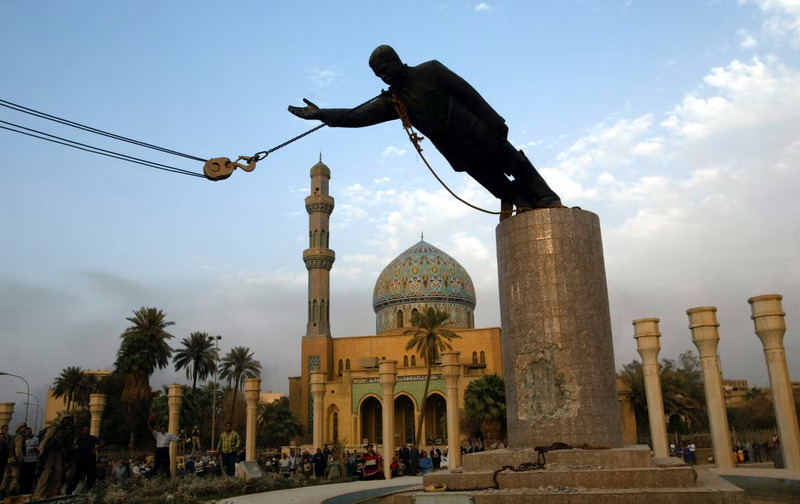 The Ron Paul Institute for Peace and Prosperity : What Have We Accomplished in Iraq?.